They come to us from Japan where they are very common. 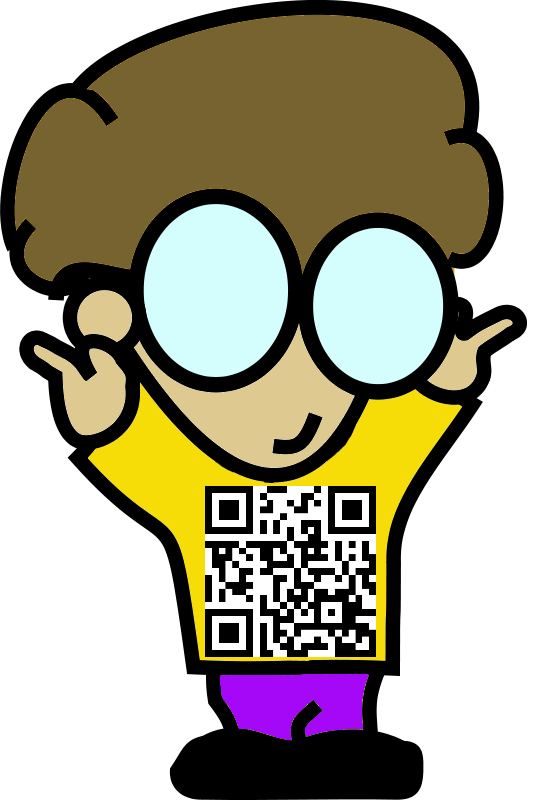 QR is short for Quick Response (they are usually used quickly by a smart phone or tablet). They are used to take a piece of information from a transitory media and put it in to your smart phone or tablet. You will see QR Codes in a magazine advert, on a billboard, or a web page. Once it is in your smart phone or tablet, it will give you details about that business, details about the ad, show you a URL which you can click to see a trailer for a movie, or it may give you a coupon which you can use in a local business. The reason why they are more useful than a standard barcode is that they can store (and digitally present) much more data, including url links, geo coordinates, and text. The other key feature of QR Codes is that instead of requiring a chunky hand-held scanner to scan them, many smart phones can scan them. Some businesses have gotten really creative on how they are getting their information across by using QR codes. A Starbucks promotion featured a QR code-enabled scavenger hunt involving hints accessed through QR codes in the stores. Quiring Monuments in Seattle puts QR code on gravestones to connect people to an online obituary or a website about the deceased. In Florida, the J.N. “Ding” Darling National Wildlife Refuge puts QR codes on signs to connect people to informational videos about wildlife along the trails. On your device download the QR Code Reader. Once it has fully installed open the app and start scanning the QR codes below.